Aeroplan introduces dExclusives rewards for Distinction members - tell us which one you like for a chance to win 5,000 Aeroplan Miles! 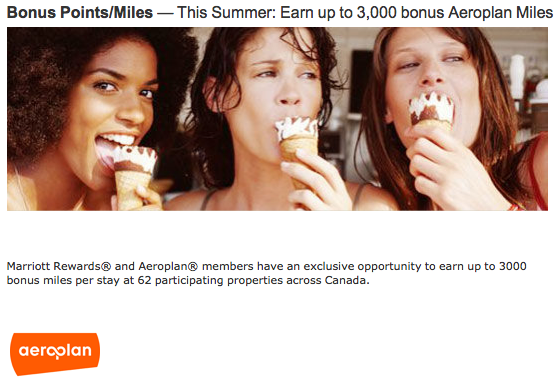 Yesterday Aeroplan announced and launched the latest benefit for its Distinction members, dExclusives. What is dExclusives? It is an new reward option that will allow Distinction members to bid on or redeem Aeroplan miles on a wide variety of one-of-a-kind rewards. This new reward option reminds us of SPG's Moments where you bid Starpoints on similar money can't buy experiences and is the first to be offered by a Canadian based loyalty program. This definitely can be a good reward option for those members who have more miles than they know what to do with, especially on the high end items like the FIFA World Cup or Grand Slam Tennis final offers! 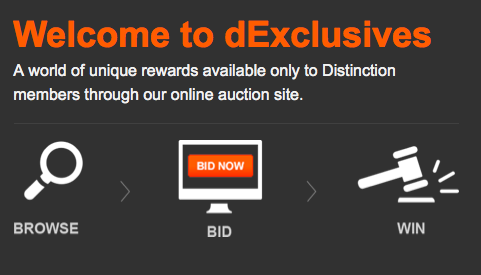 Leave a comment below on what auction you would bid on (you don't actually have to bid, just tell us about the one that interests you the most) and/or tell us what type of items you would like to see in future dExclusives auctions! The contest closes on Tuesday June 3rd, 2014 at 12:00om NOON MST! Winner will be determined by random draw from all eligible entries received. Open to Canadian residents over the age of majority. Void where prohibited. No purchase necessary. Winner will be required to answer a skill testing question. Despite the recent change in the terms and conditions of PointsBreaks, it is still one of the best redemptions in the hotel loyalty program world. The new rules state that a member can only book up to 2 reward reservations per hotel participating in the individual offer (ie 2 at Pointbreaks hotels and 2 at Last Minute Reward Night hotels). What this means is that if you want to book a Pointbreaks offer at a hotel you can only have two reservations. No longer will you be able to grab 3, 5 or more reservations (one reservation per night) as some people did to make sure they got the nights at the low award price, plan a trip for some of those nights and then cancel the rest. This change is both good and bad. Good in that more members should be able to grab award nights at the lower levels but bad if you truly want to plan 3 or more trips at one location and have no plans on 'working' the system by cancelling some of those nights. My tip to get around this would be to book 2 reservations with one IHG Rewards Club account and then have your spouse book 2 more etc. Of course this is dependent on both accounts having enough points to redeem for these awards. The latest set for stays until July 31st, are now available for booking via the primary PointsBreaks page or via the individual hotel links below. Why are IHG Rewards Club Point Breaks such a great deal? Because they offer reward nights at participating IHG hotels Worldwide for only 5,000 Rewards Club points. For those of you not to familiar with Priority Club, normal redemption rates for Rewards Club reward nights run from as low as 10,000 points for some Holiday Inn and Holiday Inn Express locations to 50,000 points for ultra-luxurious InterContinental locations and even these locations can participate in Point Breaks. So as you can see you can receive a discount of 50 to 88% off the regular redemption rates. You may be thinking that the high end hotels won't participate but they do depending on the time of year! Please note that like most loyalty promotions these offers are capacity controlled so I advise to book sooner than later to ensure you get the Point Breaks rate. These offers are now bookable via the primary PointsBreaks page or via the individual hotel links below. Here is the list of hotels participating this time and as you can see there are only 7 Canadian locations versus the 9 we had during the last PointBreaks. The promo allows you to buy up to 50,000 miles (so 100,000 in total with the bonus) at 3.5 cents per mile (effective rate is 1.75 cents per mile) plus taxes of $131.25 for total of $1881.25 (1.88 cents per mile). Considering that can get you an International business class ticket with this many miles between that can cost a lot more than that, this is a good deal! We do advise to only purchase however if you know you are going to use to miles soon as it is never good to sit on the miles for a long time due to possible program devaluations that can come at any time. Since US Airways allows 3 day holds on award tickets you can always find the award flights you want before you buy the miles and therefore you don't have dole out a hefty chunk of change just in case you cannot find availability for your preferred award flights. 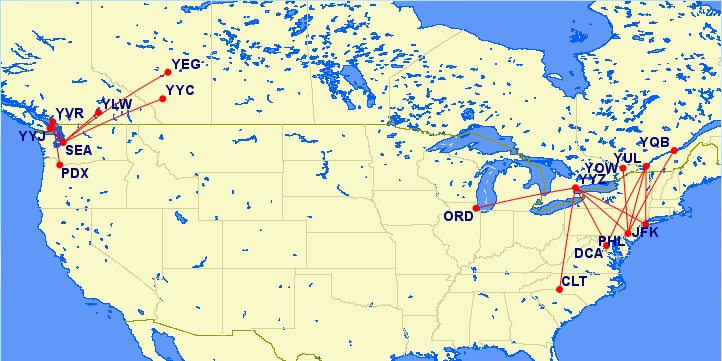 We got around to updating our popular post How to get select Canada to U.S. award flights faster by utilizing British Airways' Executive Club with the US Airways flights options now that they are a oneworld airline and of course a partner of British Airways. 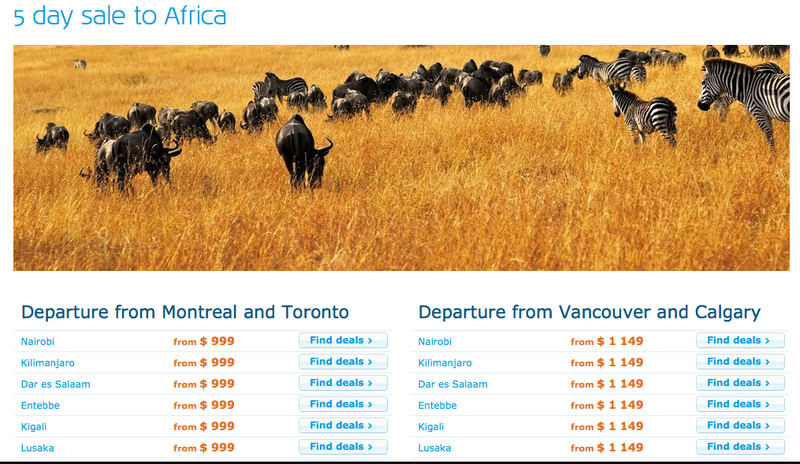 Be sure to read to article to see how you can fly in North America for as little as 9,000 Avios round trip. - 500 Bonus Asia Miles when you spend USD50 or more on online shopping via the Asia Miles iShop portal. More... Until ? Delta brings Calgary into the mix for its fight in Seattle, nice Aeroplan bonus for Delta stays and more! 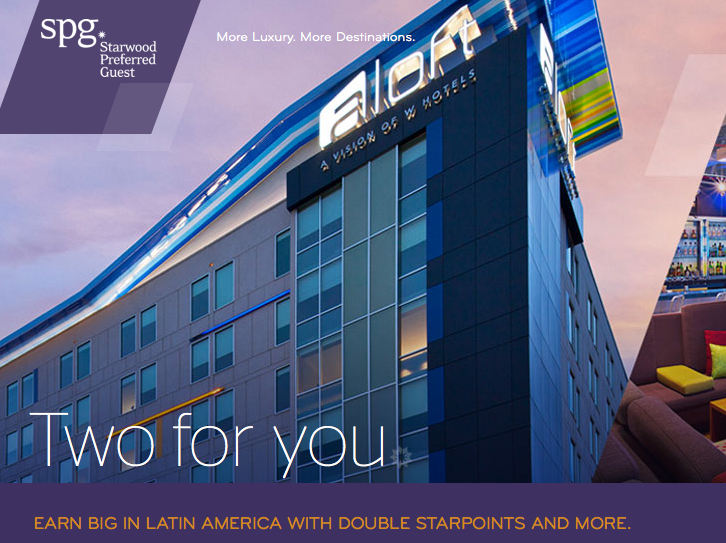 Leading Hotels of the World is offering double stay credits during its private sale for members of its Leaders Club program. 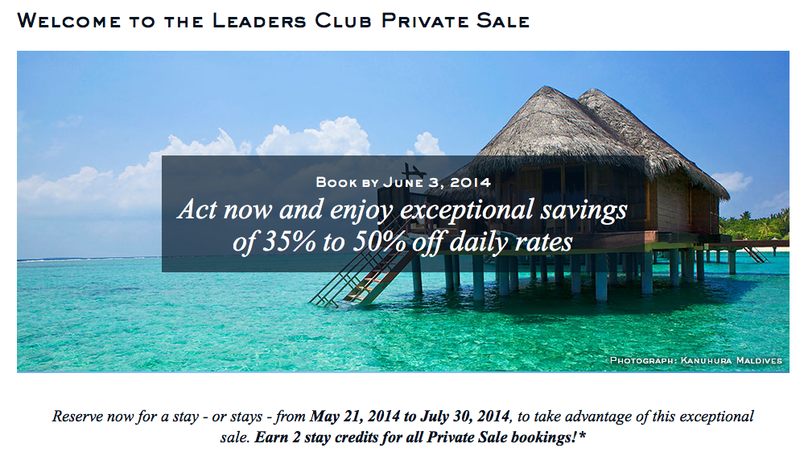 The program is one of a few loyalty program where there is a cost to join (US$150) but does include benefits that can make that fee worth it, mainly a free night after every 5 stays completed, which means with this promo you could actually get that free night after only 3 stays or 2 stays if you join Leaders Club Unlimited (US$1200 fee) The private sale must be booked by June 3 for stays until July 30. Find out more here. - Double GarudaMiles when flying Business or Economy Class on new routes served by a Garuda Indonesia CRJ-1000 Explore Jet. More... Until ?